Set between the deep glow of two pink sapphires, this luxury white Akoya pearl ring is finished with a beautifully proportioned band of 18 carat white gold. The centrepiece of the ring is its round Akoya pearl, with a fine, sharp lustre that will delicately catch and reflect the light. 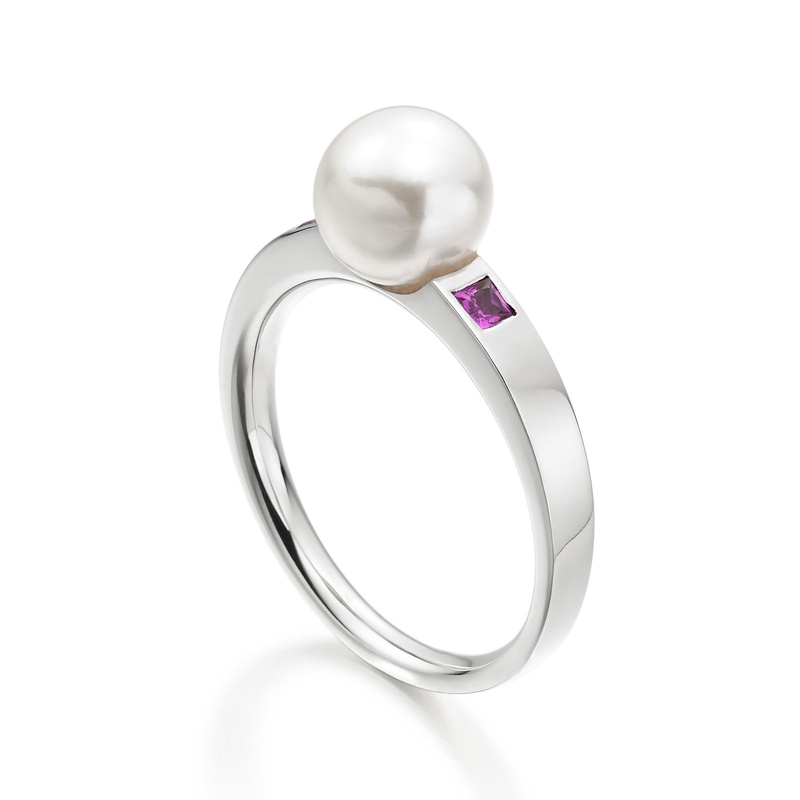 Measuring 7.5mm in diameter, this iconic cultured saltwater pearl has an elegant white colour and pink overtone. The ring is a classic design that, through the setting of the two square princess cut pink sapphires and the clean lines of its 18 carat gold band, also takes on a more contemporary style. It has been manufactured to the highest standards for Winterson in the UK. This ring is available in a standard UK size M, which is 16.7mm in inside diameter and equivalent to a standard 6¼ size in the United States.